The architect Frank Gehry is known for his use of unusual materials. Gehry is known for his use of unusual materials. With his furniture series Easy Edges, he succeeded in bringing a new aesthetic dimension to such an everyday material as cardboard. 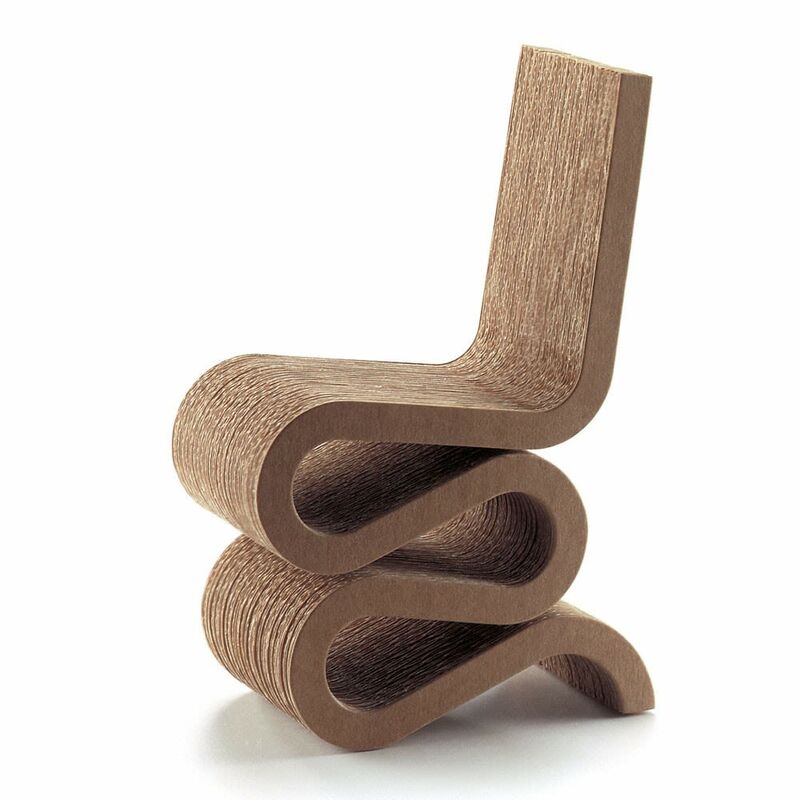 The sculptural form of the Wiggle Side Chair makes it stand out. Although surprisingly simple in appearance, it is constructed with the consummate skill of an architect, making it not only very comfortable but also durable and robust. MATERIAL DESCRIPTION Corrugated cardboard, edges made of natural-look hardboard.